Italian niche line Santa Maria Novella introduced Lana, a new fragrance being launched in conjunction with Scottish cashmere brand Ballantyne's Sport Intarsia Capsule collection for winter 2017/2018. The capsule collection is dedicated to sports, the focus being on Anglo-Saxon sports (polo, rugby, golf, and telemark skiing), that are depicted with materials from Ballantyne’s archives that conserve the spirit and the story of the brand. History is a memory, and memory is often linked to an olfactory recollection. 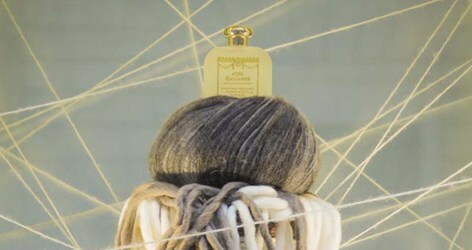 Officina Profumo – Farmaceutica di Santa Maria Novella created, for this very special occasion, a unisex fragrance called Lana, enveloping and as delicate as the sensation of putting ones hand in the softest of yarns. The fragrance evokes the smell of leather and prestigious woods, mixed with the more delicate moss and rose petal smells. The olfactory pyramid is led back to the world of these sports practiced in the open air, where we find the natural elements stated above. Every single garment will be scented with the Cologne Lana. The fragrance will be available in selected Ballantyne stores and in the Officina Profumo – Farmaceutica di Santa Maria Novella as an exclusive limited edition perfume. This project is the result of a friendship – two worlds – touch and smell – come together to enrich one another in this virtuous relationship, each one enhancing all aspects of the senses. Additional notes include sandalwood, cedar, vetiver and musk. Santa Maria Novella Lana is available in 100 ml Eau de Cologne. I wish this perfume included a wool note as cashmere, new wool and homespun wool all carry a beautiful scent that is cosy and warm and slightly nutty and animalic. And to have a wool note would be pretty original compared to a leather note. I guess since it was made to spray on the wool / cashmere products, it was not necessary? When I saw the title I also hoped that this would smell of wool. Disappointing.